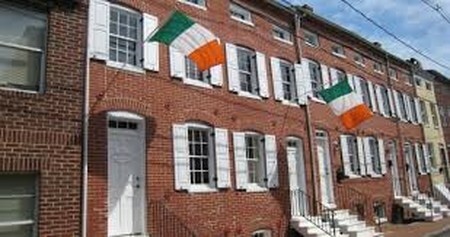 The Irish Railroad Workers Museum is a historic site in Baltimore Maryland that celebrates the history of the immense Irish presence in Southwest Baltimore	City in the late 1840's.The museum officially opened on June 17th, 2002. This site consists of a group of 5 alley houses	where the Irish immigrants who worked for the adjoining B&O Railroad	lived. Two of the houses, 918 and 920 Lemmon St., are the museum. The Irish Railroad Workers Museum is the centerpiece of a	larger historical district that includes the B&O Railroad Museum, St. Peter the Apostle Church, the Hollins Street Market, and St. Peter the Apostle Cemetery.